Share a collection to showcase your files. 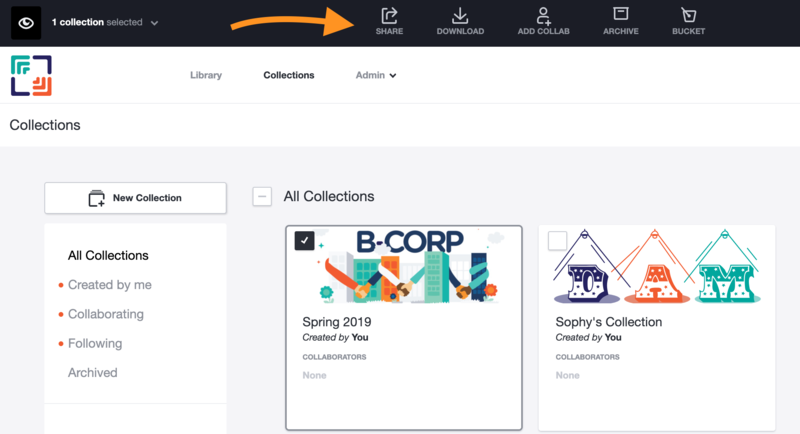 Sharing a Collection is a great way to showcase your files and assets to those both inside and outside of your organization. 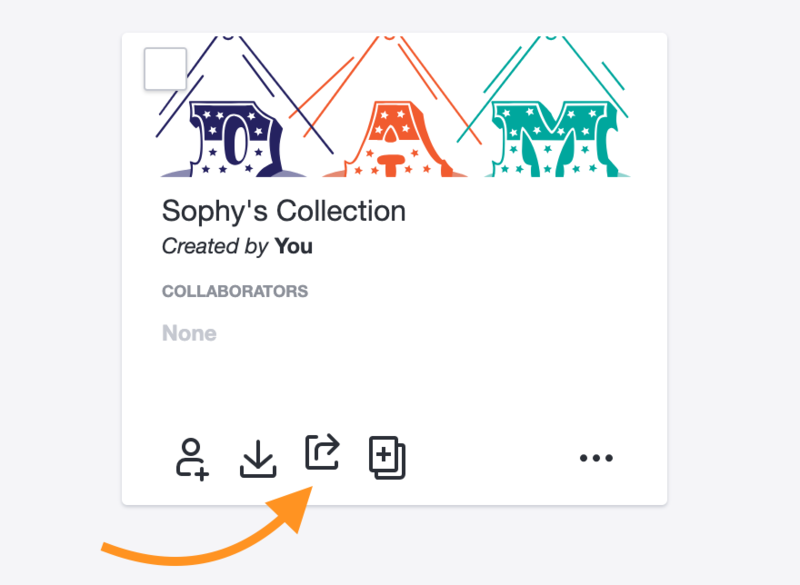 You can share collections in three ways. Before you share a collection, you will want to make sure the settings are set up the way you like. You can do this in the Detail View of the Collection. Change the Access options to Download or View Only depending on what you want users to be able to do with your collection. 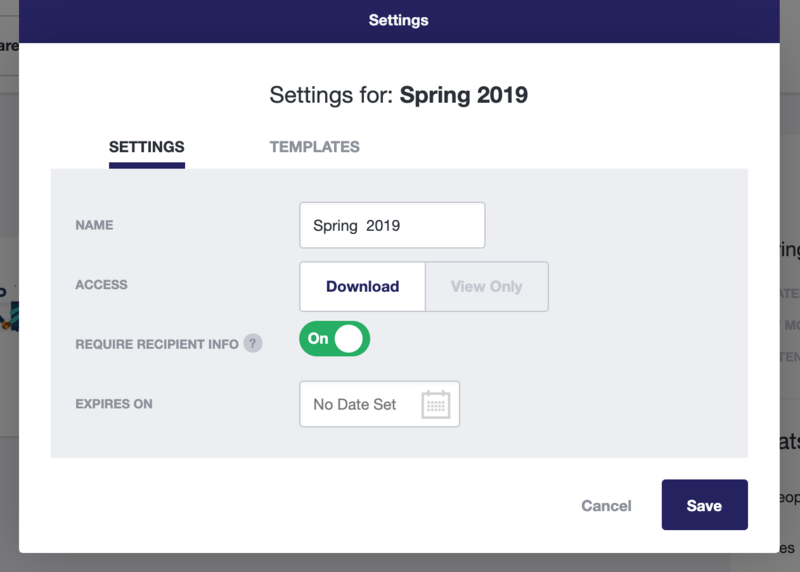 Choose if you would like Recipients to fill out their information before downloading. Set an expiration date for the Collection to be viewed or downloaded. Hover over the collection you wish to share with your mouse to bring up Hover View. 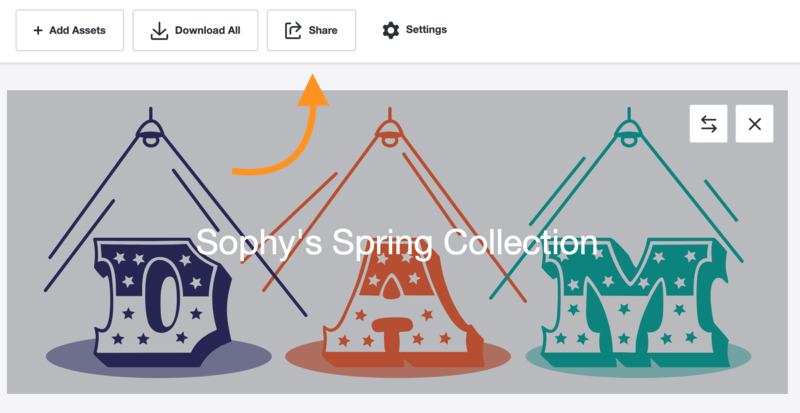 Choose how you want to share your collection (Quick Link, Email, Embed, or Apps & Social). Click on the collection you wish to share to bring up Detail View. Hover over the collection you wish to share with your mouse and click the check box to select the collection. Note: you may only share one collection at a time.